It’s probably safe to say that broccoli isn’t a kid favorite food…but tater tots are! This simple recipe is sure to become a regular in your meal rotation. When it comes to getting kids to eat outside their comfort zone, putting the food in a fun, familiar form can be the ticket to success. These Broccoli Tater Tots are just that. Russet potatoes, parmesan cheese and a small amount of Italian seasoning create familiar flavors in a bite size tot. Much less intimidating than an entire broccoli floret! 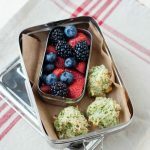 As always, these are not only a great meal for your family, but equally as good in the lunch box. You can make the mixture ahead of time and store in the refrigerator for up to 3 days. Freeze individual tots prior to baking for up to a month. Store leftovers in the refrigerator for up to 3 days. For more ideas, like this one, on adding variety to what your family eats, check out our meal plans. Preheat oven to 425F, place oven rack in the middle of the oven and line a baking sheet with parchment paper or a silicone mat. Peel, cube into small dice sized pieces and measure 2 cups of russet potatoes (about 2-3 potatoes). Steam or microwave the potatoes to the point where a fork is easily inserted but it’s too tough to eat (about 10 minutes boiled, 6-7 in the microwave). Once they are cooked drain them and set aside to cool down. In the bowl of your food processor, pulse about 2 cups of chopped broccoli florets (depending on how you cut it, it should yield about 1 ½ cups chopped) until it resembles coarse rice. Measure 1 ½ cups of finely chopped broccoli and transfer into a large bowl. Next, pulse semi-cooked potatoes and 1 ½ cups of the Parmesan cheese; pulse just enough to break up the potatoes and combine them with the Parmesan cheese. Transfer mixture into the bowl with the broccoli. Add seasoning into the large bowl and fold all ingredients with a large spatula to combine. Place remaining Parmesan cheese into a small bowl. Begin to form tater tots into small balls with a 1 tablespoon size cookie scoop or your hands and a spoon. Once formed, roll each tot on more Parmesan cheese – just enough to coat it. Place each tater tot on the baking sheet, about ½ inch to 1 inch apart. Bake 12 minutes, until golden brown. Please do not use wax paper. The cheese will melt onto the wax and the recipe will not turn out.You can make the mixture ahead of time and store in the refrigerator for up to 3 days. You can freeze individual tots prior to baking for up to a month. Store leftovers in the refrigerator for up to 3 days. Not sure about the breadcrumbs, but non-dairy cheese would definitely work. Let us know what you try! Loved these! Made it with breadcrumbs, parsley, salt and pepper. So easy to munch on and delicious! They look tasty! 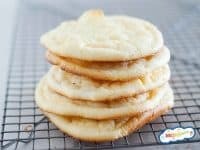 Can we freeze them after they are baked? 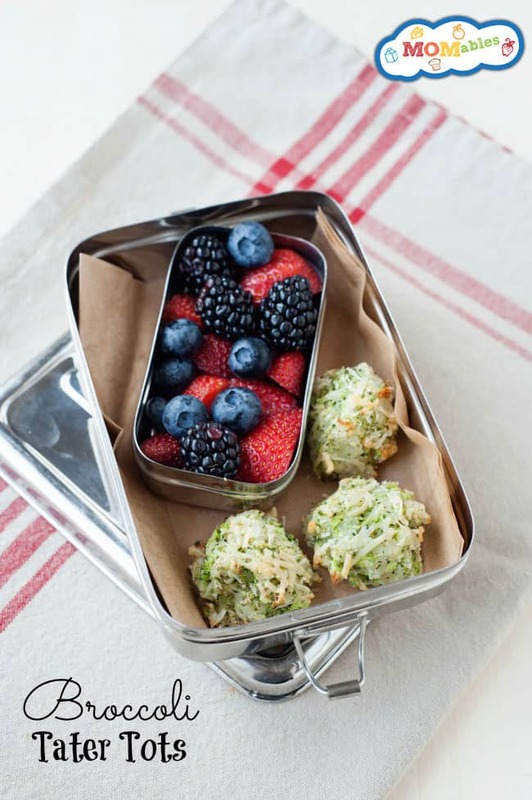 I made these up today for lunches, but it put a twist on them and replaced some of the broccoli with grated carrot. Looks pretty and tastes great. Found them to be a bit salty though, I’m chalking it up to the Parmesan cheese. If you grate you carrot with your food processor and then pulse them with the broccoli they trn out just like they should. Plan on freezing them cooked so that they are easier to get ready for lunches. Thanks! glad they worked out with carrots too! And yes, not all parmesan cheeses are the same, some are saltier because of their “age” and process. glad they were enjoyed. Will these work with sweet taters? I try to make everything as nutrient dense as possible and really haven’t used white potatoes in a considerable amount of time. Yes, you can use sweet potatoes. Enjoy! So, I made these tonight, and while they were quite yummy, they seemed to spread out a lot while cooking, kind of like chocolate chip cookies so. I wonder if I perhaps pre-cooked the potatoes too long (I did 5 min in micro, then stirred, then 2 more minutes), or if I processed them too long. My husband also suggested different seasoning, so any suggestions that way would be great. My kids refused to try them. Oh well, we’ll try again! the tots spreading is a sign of too much processing of the potatoes. they really should have those “chunks” like sweet potato tater tots. For us adults, I’d suggest adding more seasoning -they are pretty tater tot bland, you know? my kids refused to try them at first too. I just put them on their plate with ketchup and that’s what they were having! lol. thank you for trying the recipe. do not get discouraged. Can these be made with red potatoes? yes, but they don’t contain as much starch and therefore they might not hold as well. preferably yellow yukon potatoes. I have to say that all 7 of my children absolutely love broccoli and always have. Maybe it’s genetic? LOL. I’m pretty sure they will love this version of a favorite, too! Thanks for sharing. I just came here for the first time after getting your cookbook. We are all pretty excited about it and look forward to making some great lunches. Thanks for all the wonderful ideas! Do you think these would work with a dairy free cheese like Daiya?? Thank you SO much for this! My son is allergic to eggs, and most recipes I’ve seen like this contain egg. He also refuses to eat broccoli, so I can’t wait to try this out!